Another one from Porter Hovey. 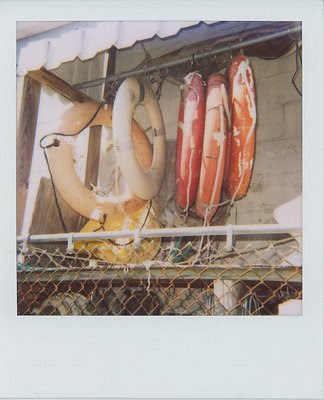 Taken in Greenport, NY, a cool town I used to know. *Please don't tell him I'm blogging. sorry to hear that your week ain't been grand, but it sure is good to be loved during weeks like these huh? me too. without my guy i'd be up the proverbial creek. i really shouldn't get into it (because it's kind of all i talk about), but being "freelance" right now is looking a lot like "un-employed". shed no tears. this week is almost over, then it can be back to good old normal! husbands are good. for 'many' things when the stress piles on. i am dying to know; Porter and Holister Hovey? are these real birth names? seriously fantastic. Sorry you're having a crappy week, glad you've got a lovely husband! Sorry about the crap week - you know, when it rains, it pours. Hope your weekend is better! I love Greenport. You think Claudio's is over rated?? ?